Computer science and information science are both confusing terms among many students and professionals. This post tells you clearly the real differences between these two sciences. Computer scientists are, in fact, scientists. They are focused with the theory of computational applications. That means they understand the “why” behind computer programs. Using algorithms and advanced mathematics, computer scientists invent new ways to manipulate and transfer information. Computer scientists are generally concerned with software, operating systems and implementation. Like Neo in The Matrix, computer scientists can see and make sense of code. Computer science students will learn the fundamentals of different programming languages, linear and discrete mathematics, and software design and development. Computer scientists study the machine itself and understand how and why various computer processes operate the way they do. To put it bluntly, computer engineers make computer parts work together. Computer engineers are responsible for the research, design and development of computer equipment like circuit boards, microchips, routers, video cards, etc. Some universities may treat this discipline as an off-shoot of electrical engineering. 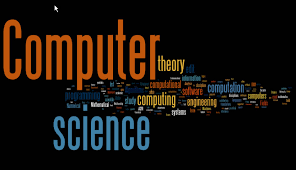 It is beneficial for computer engineers to have a grasp of computer science. Computer engineers often deal with hardware-to-software integration, meaning they have to design and build processors and hardware that can support a given program. As technology advances and our devices become smaller and smaller, a main goal of computer engineers is to create microchips and microprocessors that work economically and efficiently. Computer engineering students will study concepts in computer science, engineering and mathematics. By combining these three fields, computer engineers are able to solve hardware problems and create state-of-the-art machines that can handle the many tasks computers perform. In reality both are different subjects and computer science deals with software programs and information science deals with hardware requirements to meet software applications requirements.